1. The Kennedy Mines in California were formed in 1860 when three shafts were dug near today’s mine property entrance. A mine shaft was sank reached a vertical depth of 5912; the deepest gold mine shaft in North America. In 1942 the mine was closed due to WWII. 2. Gold mining in Arizona began in the late 1800s with the Christmas Mine opening in 1880 and operating through 1954. This is the major mine in the Banner District and total gold production was about 26,000 ounces. 3. Historical gold mines in the USA need to include the Bingham Canyon Mine owned by Kennecott Utah Copper. This is the world’s largest man-made excavation and is one of the top producing gold mines in the world. 400,000 ounces of gold are produced annually and a historical display of gold mines in Utah is exhibited in the visitors’ center. 4. Nevada gold mines date to the year 1849 when miners seeking the gold rush in California discovered gold near the Carson River. This discovery led to the Comstock Lode in 1859 and made Virginia City famous. The Comstock mines produced more than $1 billion in gold bullion. 5. The Reed Gold Mine is gold mines in the USA located in North Carolina. In 1799 this mine was opened when a 17-pound nugget was discovered. This gold mine once produced more than one million dollars’ worth of gold in one year. 6. Alaska gold mines include placer mines like the El Dorado Gold Mine. This mine is now closed but you can pan for gold at $1.00 a pan. Who knows, you might get lucky! 7. Additional historical mining sites include the Phoenix Gold Mine in Idaho Springs, Colorado. 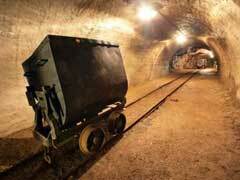 This mine is 8,200 feet above sea level and at his prime produced millions of dollars of gold bullion. 8. The Monte Cristo Mine in California was first discovered in 1834 and worked by priests and Indians until 1848 when gold was discovered further north. Reports indicate that high levels of gold still remain in this mine. 9. The Cortez Mine in Nevada still has over 10 million ounces left to be mined. It is closed in favor of the Hollester Mine. 10. Gold Mines in the USA also include the myth of the Lost Dutchman Mine located in the Superstition Mountains of Arizona. As the name indicates, this may just be a superstition.